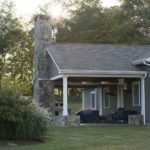 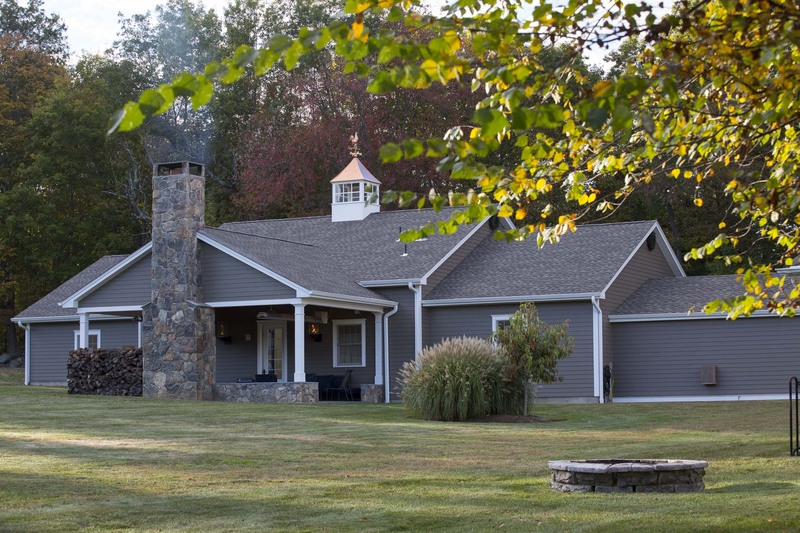 This home in Newtown, Connecticut encompasses a large piece of property with vast lawns, gardens, and a pond. 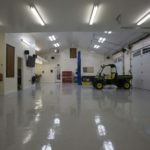 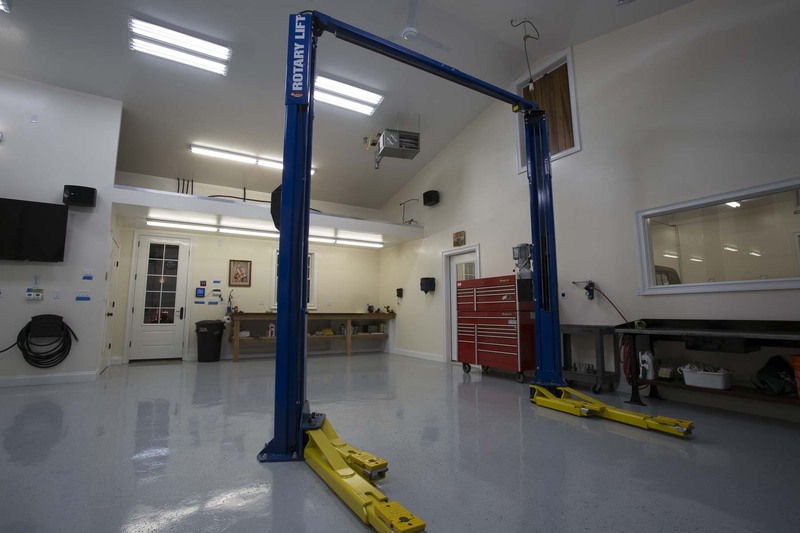 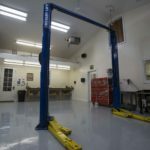 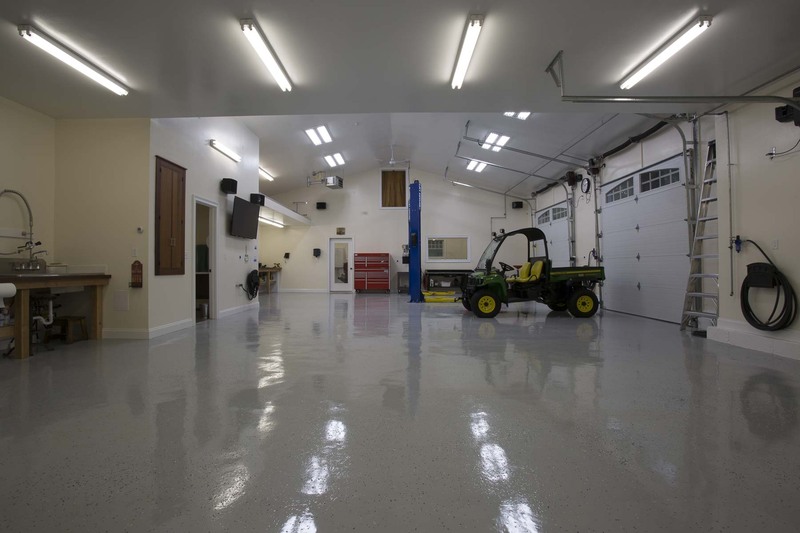 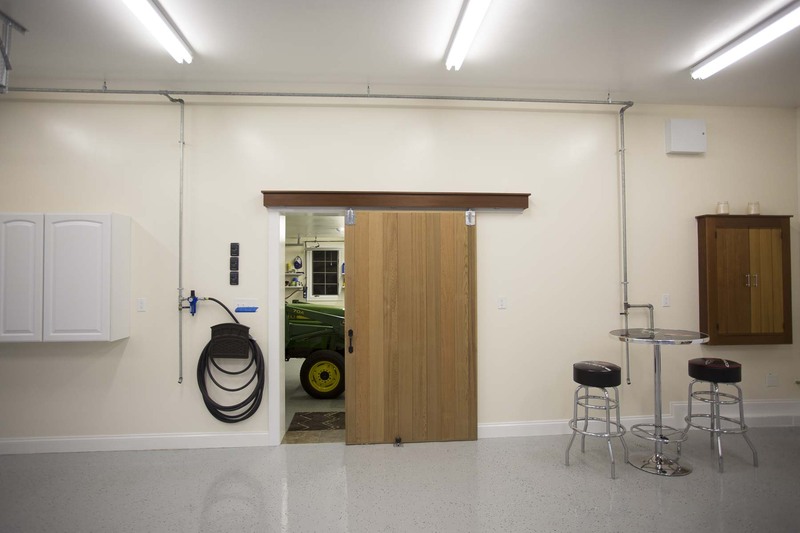 The homeowner needed more garage space for both his regular and antique vehicles and his estate maintenance vehicles. 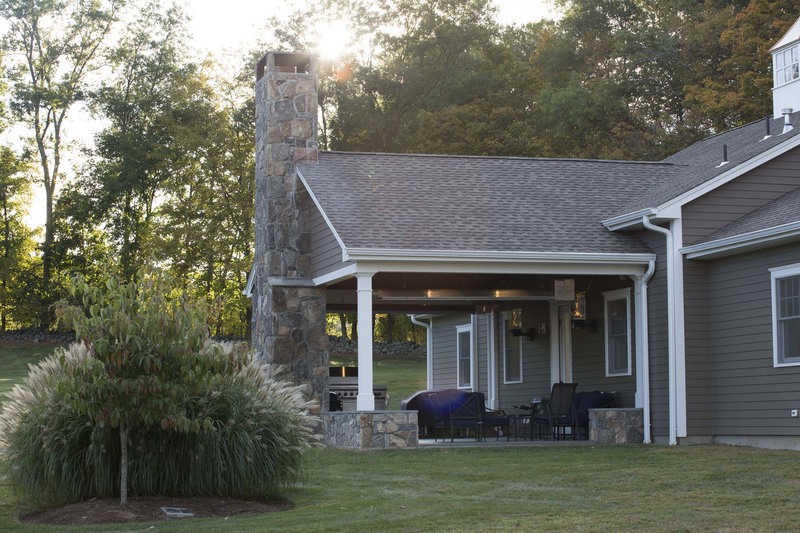 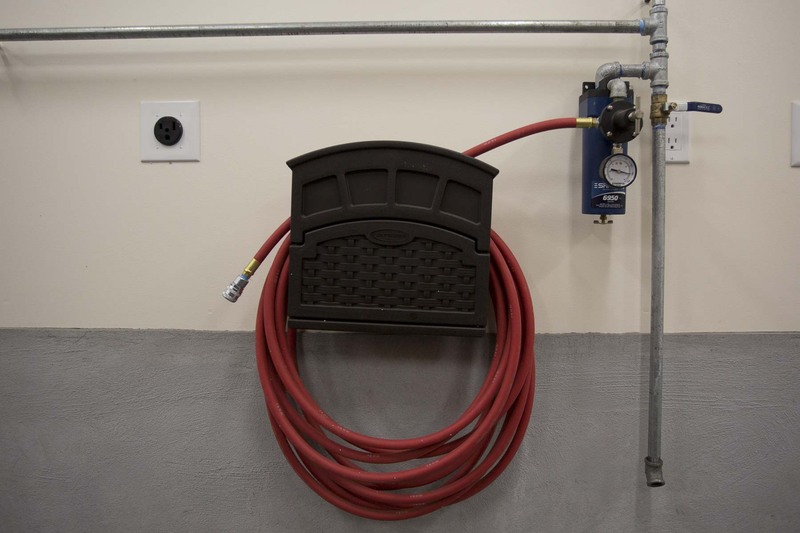 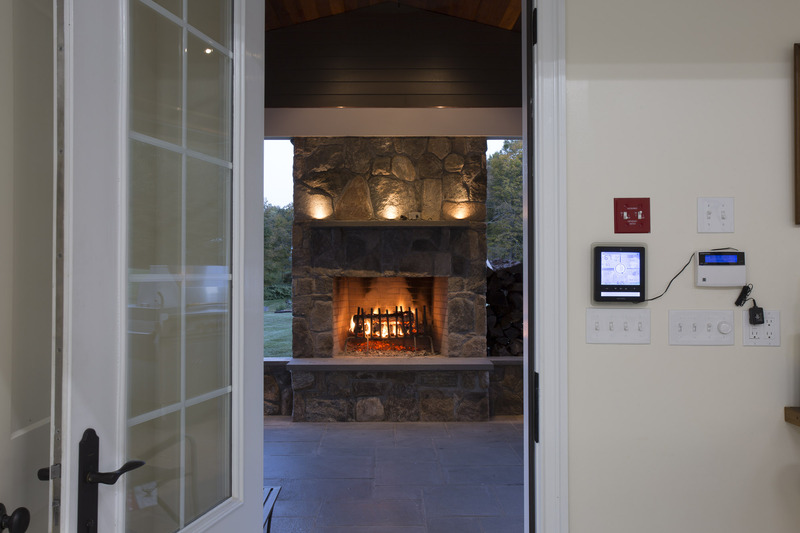 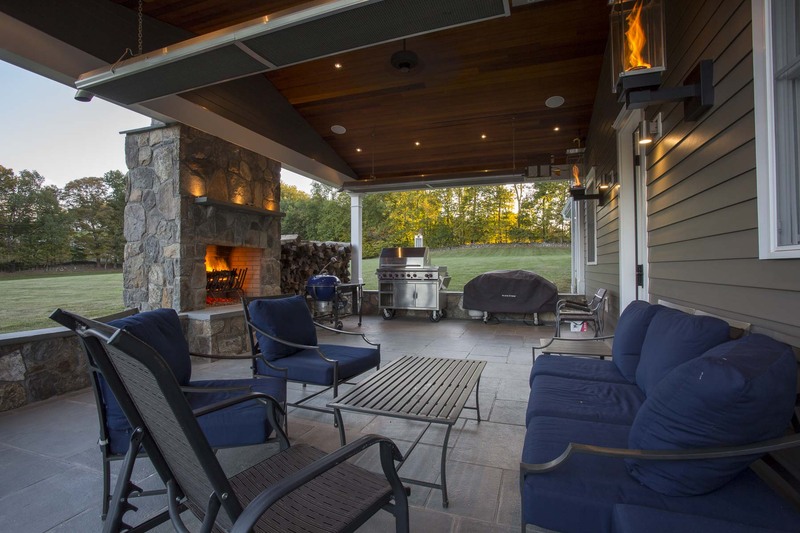 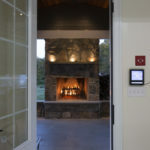 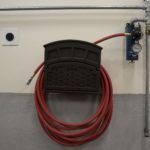 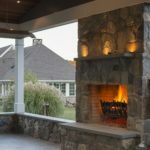 Coyle Homes built a spacious, 6-car garage, complete with heated 6-inch slab floors, a car lift, a network of compressed air, multiple garden hose bibs, and an attached, covered patio with outdoor fireplace. 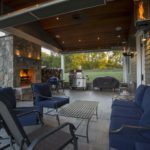 The patio also features both a heated floor and installed radiant overhead heat, extending its use throughout the winter months. 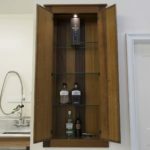 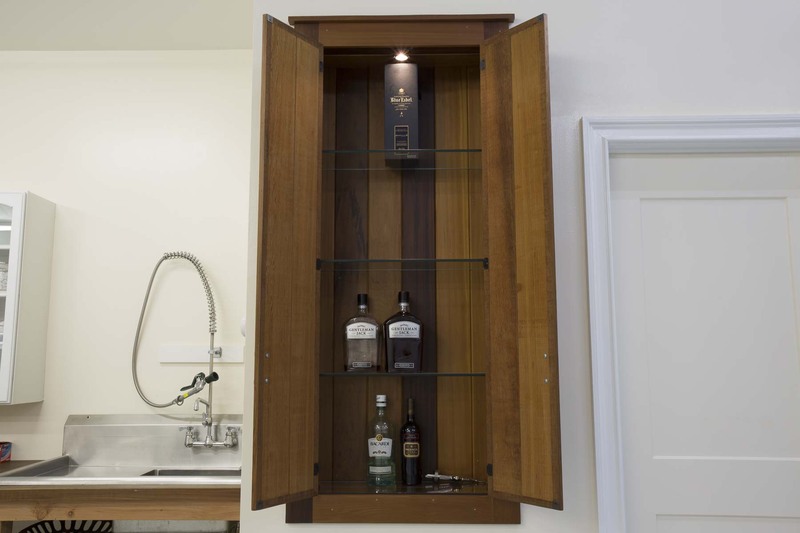 The interior features a number of extras such as a built-in TV with surround sound, an illuminated liquor cabinet, a bathroom with shower and commercial drier, an industrial stainless steel sink, and plenty of storage and countertop space. 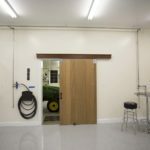 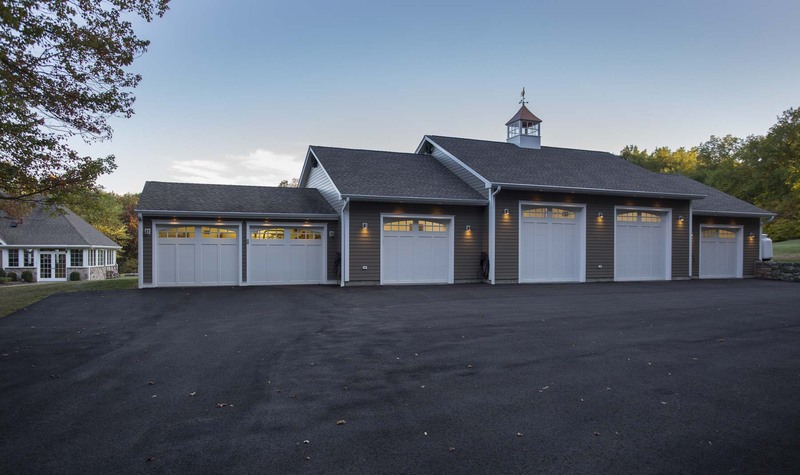 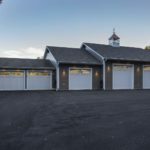 The project blends in with the existing buildings on the property while adding an inviting, cozy presence, especially in the evening when the garage is illuminated with multiple sconces and soffit accent lights. 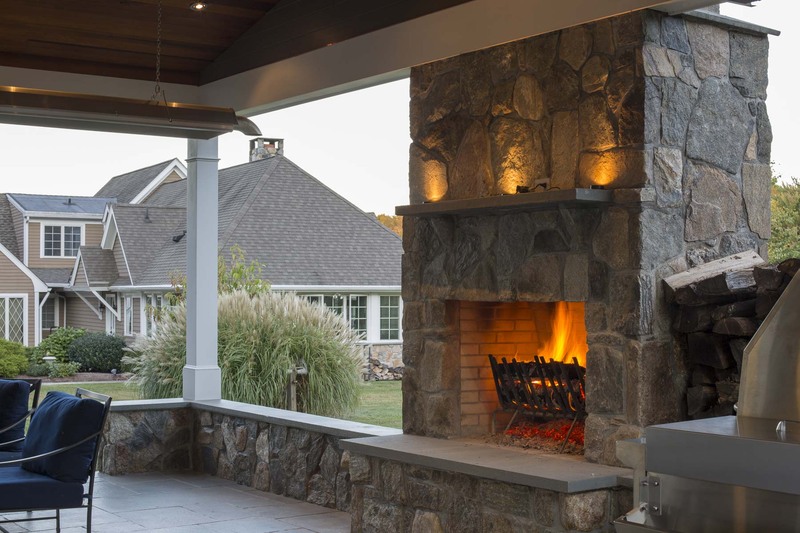 The patio also features gas lanterns, adding to the ambiance.